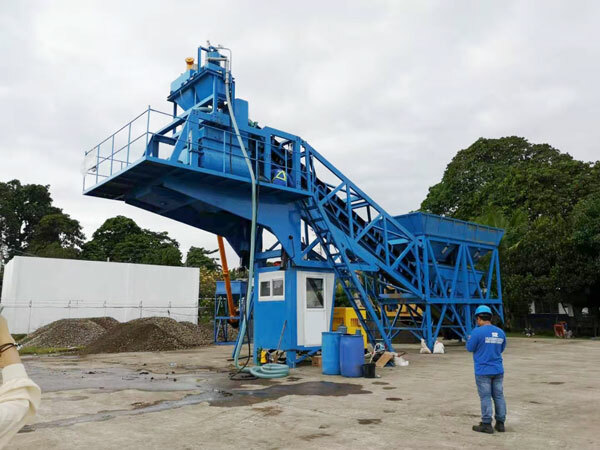 Hollow concrete block making machine is equipment that produces hollow concrete blocks by using fly ash, river sand, sea sand, mountain sand, mineral powder, slag, stone powder, coal residue, coal gangue, tailings slag, chemical slag, and cement as main raw materials. The main raw materials are sand, stones, cement, but a large amount of industrial waste such as fly ash, slag, coal gangue, ceramic particles, pearlite etc. can be added. Therefore, hollow block making machine can help to deal with industrial wastes and it’s a kind of environment friendly construction machine. 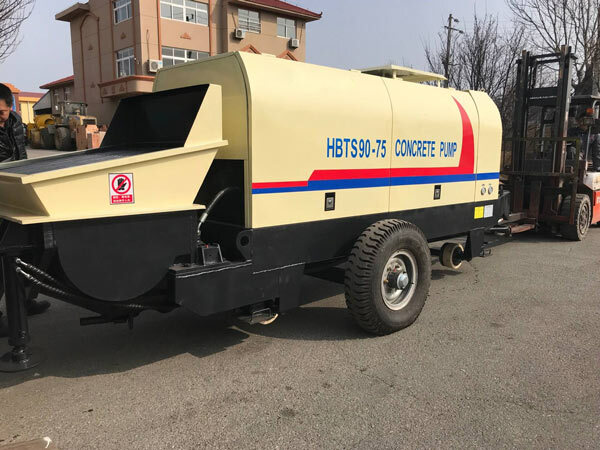 Hollow concrete block machine can produce all kinds of external wall blocks, internal wall blocks, flower wall blocks, floor blocks, berm blocks, chain road blocks and curbstone blocks. It’s widely used in construction, roads, squares, hydraulic, garden and other construction. 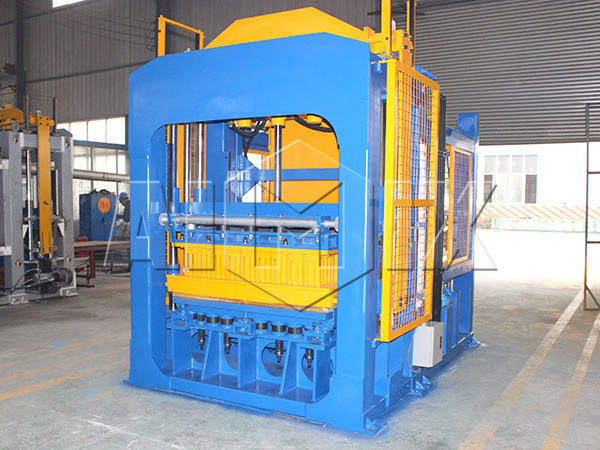 Our well-sold QT series of hollow block machine for sale mainly include the following types: QT3-15, QT4-25, QT6-15, QT8-15, QT10-15, QT12-15, QT15-15 etc. They are used to produce cement brick, hollow block and colorful paving brick. The raw materials can be: slag, fly ash, stone powder, sand, pebble, cement etc. This equipment is also called free-baking brick machine, that’s to say the final products need not to be sintered, only short time sun drying is ok.
1.This series of block machine for sale is mechanical, hydraulic and computer controlled. It has the features of high efficiency, excellent design, compact structure, simple operation, easy maintenance. 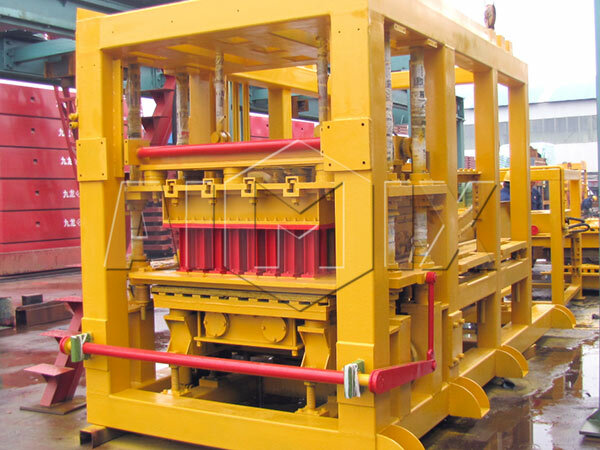 The forming of the block is mainly by using hydraulic pressure, mechanical pressure as auxiliary, and the pressure is increased with vibration. The final product can gain the compression strength over 15Mpa with good frost-resistance and impermeability, good sound and heat insulation, accurate size. 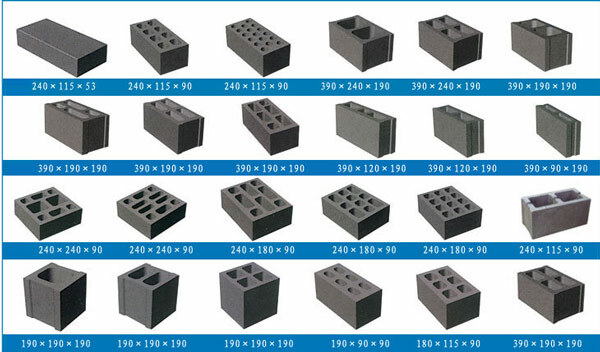 3.By simply changing the mould, we can change our products to meet the requirements of the market; According to the user’s production requirements, different types and specifications of the mold can be chose, the production of a variety of concrete wall blocks, porous bricks, parking lot grass bricks, paving tiles and water conservancy hydraulic products can be realized. It’s really a multi-use machine. 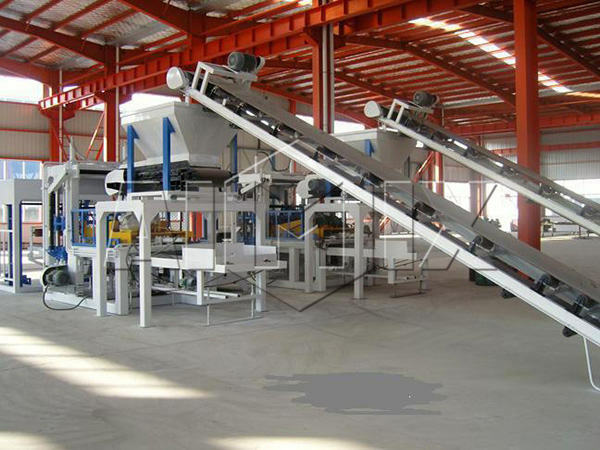 A complete hollow block production line includes concrete batching machine, concrete mixer, block making machine, lifting plate system, descending plate and palletizing system. We will take the full production line of concrete block as an example to introduce the work flow. 3, cement hollow brick machine adopts the PLC computer intelligent control, using hydraulic transmission, vibration pressure molding. The mixed raw materials are formed into concrete blocks at this step. 4, rise plate system. This system adopts mechanical synchronous transmission, the formed concrete blocks can be promoted smoothly. controlled by the PLC host computer, the molded product can be lifted to 10 layers high. 5.Drop board and palletizing system. The lowering machine will palletize the concrete blocks and then they will be delivered by the forklift to the finished product yard. 1. 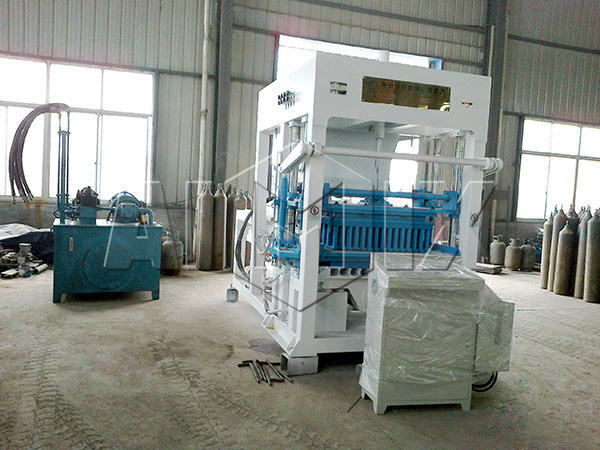 When the hollow block maker machine is on, all protective covers and floor covers must be installed. 2. Check the grounding wire of the electrical part to avoid leakage, short circuit and other phenomena. 3, people is strictly prohibited to stand by the motor. 4. If there is abnormal phenomena with the cement hollow brick machine when it is running, it shall be immediately stopped for inspection. 5. 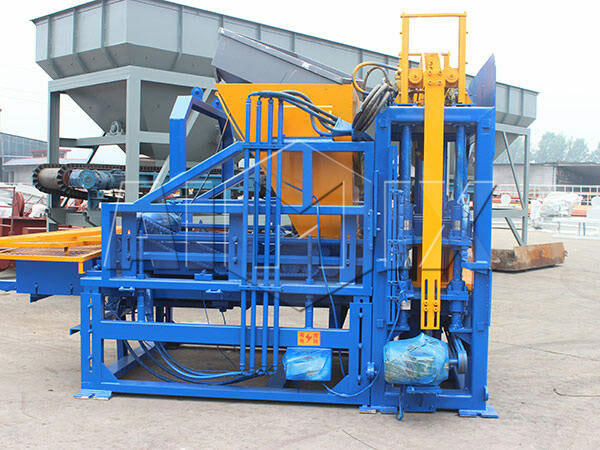 When the cement hollow brick machine is not in operation, the feeding mechanism must not be started in order to avoid the phenomenon of machine parts being damaged due to overload. As an experienced hollow block making machine manufacturer and exporter, Aimix Group has helped customers in domestic and oversea countries set up their concrete block production lines with reasonable cost and appropriate plan in the past years. Our block machines have been exported to Iran, Pakistan, Indonesia, Cambodia, Sri Lanka, Qatar, India, Vietnam, Thailand, Romania, Peru, Korea, Sri Lanka etc. 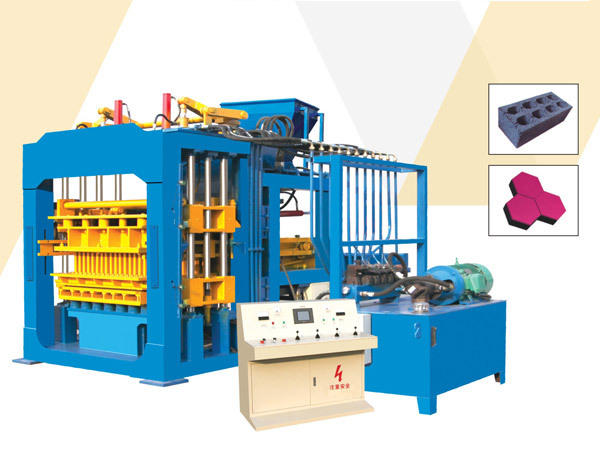 Our company provides quality block machines with reasonable price. 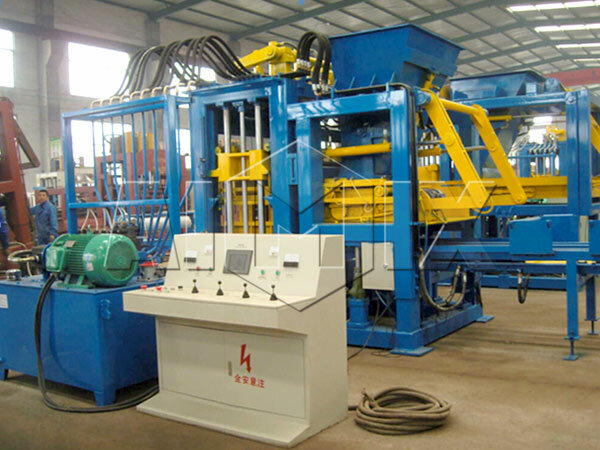 If you are planing to invest in a concrete block making machine, don’t hesitate to contact us now! Write down your questions or inquiry in the form below now! We will reply you in 24 hours!